Airline Makes Good on Smashed Viola. Where do Opera Stars go when their stage careers end? Some lucky singers in Milan, Italy get to live in a retirement home built just for them—by Opera composer Giuseppe Verdi. “Casa Verdi”, a home for singers and musicians, was founded and funded by Verdi more than 100 years ago. Soprano Lina Vasta has performed in Italian operas around the world. Twenty years ago, she settled at Casa Verdi. The singer, who uses a cane to get around, won't reveal her age, but she still enjoys singing The Barber of Seville around the home. Vasta came to Casa Verdi with her husband when they both retired from singing. Since he died this is all she has. But with "a beautiful house, a piano, a very nice garden, nothing is missing here — it's perfect. Grazie, Verdi," she says. Verdi founded Casa Verdi, in the late 19th century. He's buried here, along with Giuseppina Strepponi, his second wife, Many of Verdi's own former colleagues found themselves living in poverty toward the end of their lives, and he wanted to do something to help them. "At that time, there were no pensions for musicians in Italy. "when he was about 82 he wanted to use his money to make a rest home for his colleagues less Fortunate." 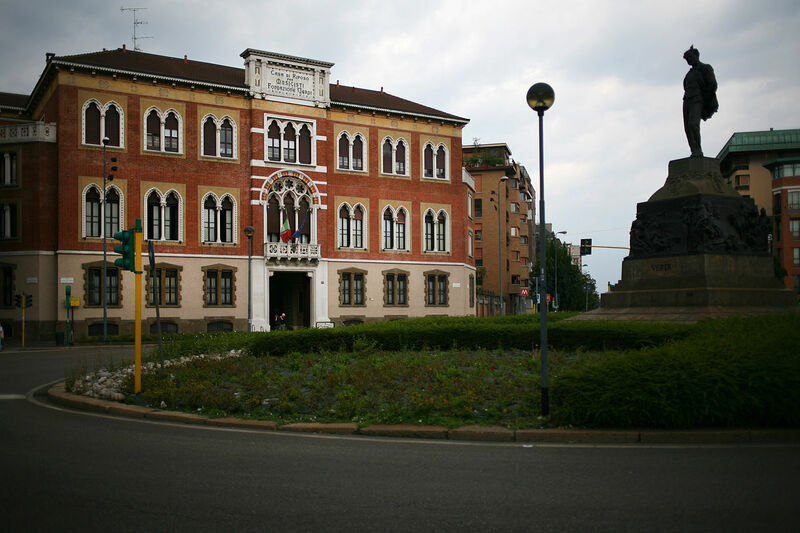 Using his own fortune, Verdi built the neo-Gothic style retirement home that opened in 1899. The composer made sure the profits from his music copyrights kept the home running until the early 1960s. Today guests pay a portion of their monthly pension to cover basic costs — while the rest comes from donations. The case of the smashed Viola Da Gamba has a happy ending, it turns out. in January 2018, Myrna Herzog posted images of her viola da gamba and the damage it sustained on facebook after an Alitalia flight from Rio de Janiero to Tel Aviv. The instrument, worth $200,000, was smashed inside its case, which was also damaged. Herzog posted an angry message: “Alitalia hates musicians … this is how Alitalia delivered my original 17th century Lewis viola da gamba … savagely vandalized after ensuring me that it would be TAKEN BY HAND into the plane and out of it! A few weeks after the incident, Herzog published a new post on , saying the airline has now reimbursed her for the damaged instrument, and that they behaved with “great fairness”. “Thanks to the unfortunate accident, the company is also reviewing their policy regarding musical instruments. This could make Alitalia the preferred airline for musicians and music lovers. I will continue to fly Alitalia, as I always did.